One of the worst phone which i have ever seen. Please don't buy it. 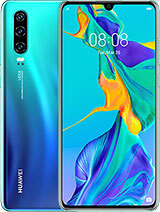 Do not buy this phone. That's from my experience with the phone in 1.5 days. It gives me messages like "Not enough memory. Delete Messages" and it does not allow me to send sms because of this. There is hardly any sms in the inbox!!! Seems like the issue goes away temporarily after you reboot. The battery is pretty bad too. I have fully charged the phone 4 times by now. Why does SE put an OLD OS on a 5MB device and a music player when the battery lasts for 4-5hrs with minimal use? this phone is useless.do'nt buy it.this phone is going to switched off again again whenever I delete the sent message.i want help..
Hello good people, well i know ya'll hav been complaining about spiro being a bad phone.. Yes i know, i got mine yesterday too but luckily before i made spiro my choice i did research. Are these problems you're facing?? ALL THESE ARE FIXED IF YOU JUST UPDATE YOUR FRIMWARE!! Ain't that simple?? Anonymous, 17 Jun 2011I updated it through update service in my pc...after i updated there is no restarts,no hangs,n... moreermmmm..... can u give specific instruction about what 2 do???? The craftsmanship of its design is unique but excellent also than some other mobiles...! My mom bought this a few months back and it's such a disaster behind the cute facade. The phone has this habit of freezing up, which requires a restart, or locking up its mostly used menu (message, call history) which you can't do anything about but hope it will go away. And the firmware update is another nightmare. The software will "check for an update" for hours without doing anything. And links to the product page (via the update software) either are dead or will lead you to some support page where you don't even see this model on the list (what an insult). I'm typing this as I'm running this software for the last time, I'm sure. You've totally lost another customer, SE.